My kids got to experience a ton of different ways to get from point A to point B this past summer – airplanes, busses, trams, trolleys, air trams, monorails, trains and even ferries. I took this photo on one of the ferry rides from Edmonds to Kingston while we were in Washington state. 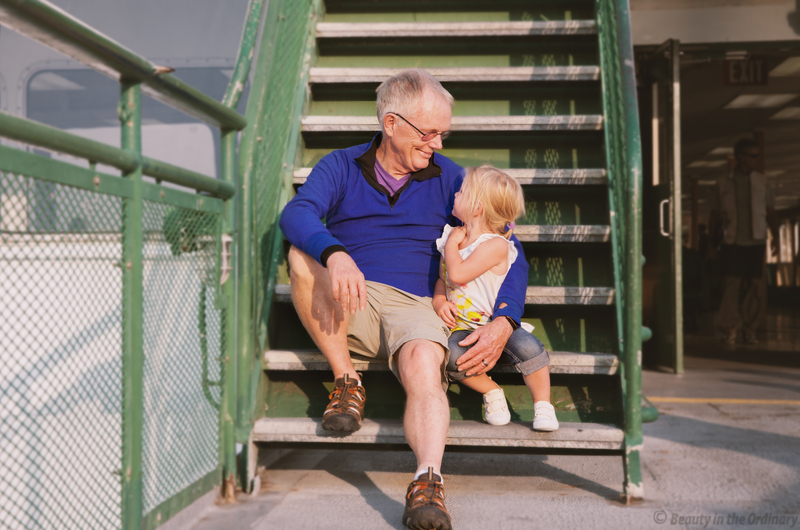 I don’t have many photos of my father-in-law with any of my children because wen my in-laws are around, the kids tend to gravitate more toward their grandma so catching my middle child happily chatting away with grandpa on the ferry was a little extra special.